There is no doubt that online shopping has changed the face of retail forever. 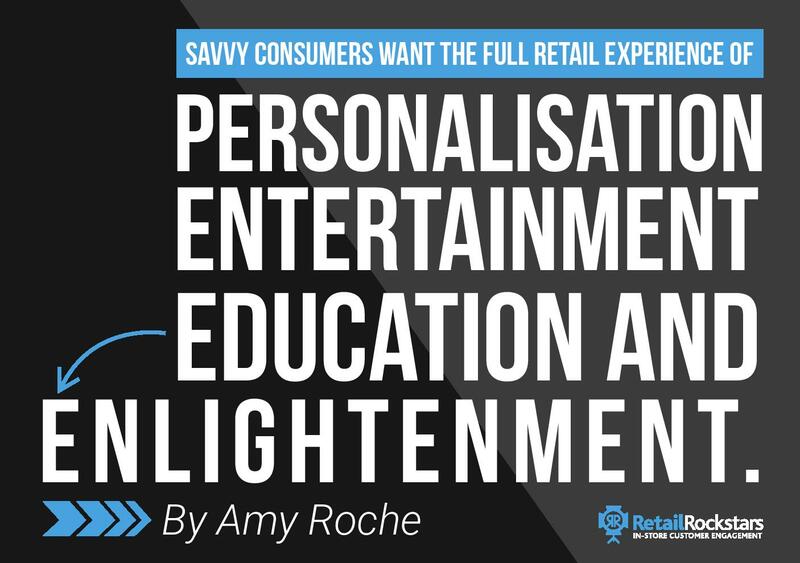 While that may be true, we know that customers still crave personalisation, education, entertainment and enlightenment. At its core, online shopping offers 24-hour service with competitive and comparative pricing – something our stores cannot always deliver on. However, there is often an overlooked saving grace for retailers, and it lies within their very own showroom floor. Thanks to online sales and data-driven marketing, we know more than ever about our customers. It is the insights from being a brick and mortar retailer, that gives us the amazing insight into what your customers want. And, how can our physical stores deliver on this in more meaningful ways? While the focus of retail has shifted, I’m a true believer that human connection is what makes the in-store retail experience so unique and special. It is the experience of that human connection within the four walls of your retail environment and how it makes your customers feel. This ‘feel’ is what cannot easily be compared, or price matched anywhere else. It’s not just about the products anymore; it’s about the total experience. Your customers crave personalisation, education, entertainment and enlightenment. Retailers that are doing this are the ones who are experiencing success and making the headlines for all the right reasons. While it’s easy for us to blame globalisation and Amazon, the fix to our retail woe’s lurk right inside your own store. Today many retailers, including ones that I’ve been part of, are still following traditional push marketing routes. And…for the most part, offering a dull in-store atmosphere. This sterile and often non-personable interaction can easily be matched (and surpassed) online. So, when an in-store visit underwhelms customers, they are also less likely to feel inspired to visit again. Which in turn, leads to further commoditisation of the market, leading to price only decision making. Besides, let’s face it, massive advertising budgets to bring new customers in-store can prevent even the most clever retailers from being innovative in-store anyway. What’s going to move things forward for retailers? It’s now critical to think about the in-store experience you offer and ensure that people are being enhanced, being surprised, and feeling delighted as they come through your physical door. It’s about creating unique experiences that capture your own brand promise while purposely helping your customers to reach their own aspirations. It’s about building a journey that takes both of you where you want to be. 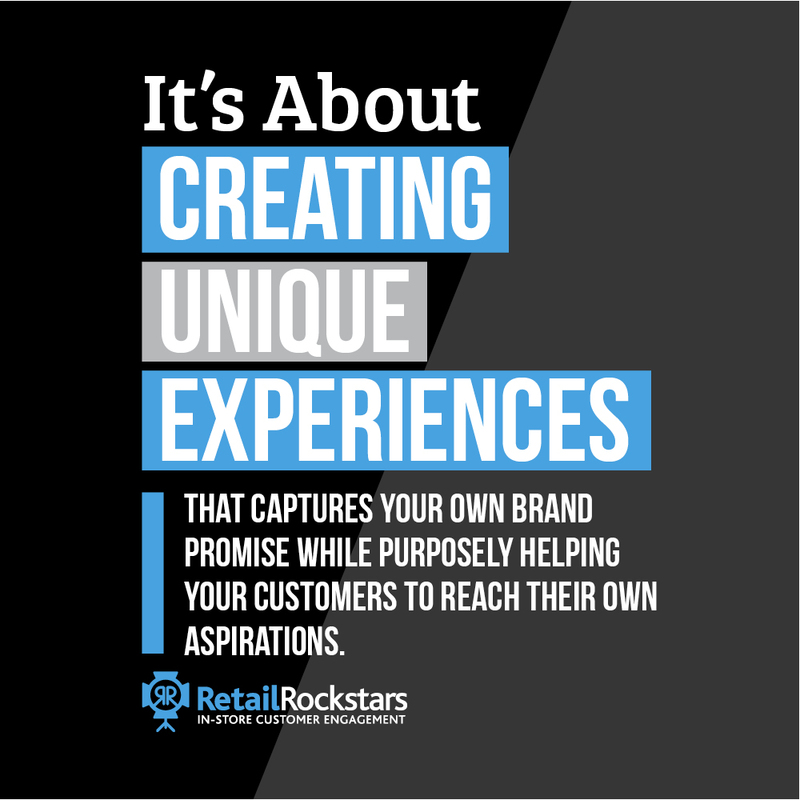 In my experience both through running my own 2,500m2 store, as well as working with many other retailers to bring in-store experience to life in their stores, it’s our own retail and sales mindset that mostly holds us back from great things. In my book, The Retail Experiment I’ve appropriately named this conundrum, The Sales Machine mindset. As retailers, it’s our job not only historically, but in our day to day operations, to continually focus on the sales metrics of our business. However, when we focus so much of our resources on extracting sales, it puts us at odds with our ‘special people’ – customers. Instead, if you shift your retail mindset from extracting sales to deliver more value in-store, you’ll see a dramatic change in your customer’s attitudes which suddenly opens them up to a genuine relationship. If you skip this valuable step, your customers will stop listening to your messaging. The first step to offering this customer-driven experience is to understand your unique customer interests and behaviours. You’ll need to do some work uncovering both of these as each retailer will differ significantly. However, you’ll similarly find them all through market research and in-store customer exit surveys, through interactions with customers and feedback from staff. Once you understand your customer interests, lifestyles and behaviours, tailor your in-store experience to fit what you’ve uncovered. It is not just about playing to the positive either. Understanding negative sentiments and offering something to counteract it can endear a customer to you even more. For example, an appliance store we worked with, found its female customers displayed nervousness in-store around purchasing high-end blenders and small kitchen appliances. While this was a profitable category that they wanted to increase sales in, they identified that they also wanted to better connect with busy, health-conscious females. So we created a range of in-store events for busy, health-conscious females over the next six months. Delivering bespoke monthly events like; efficiencies in the home, cooking with allergies, simplifying the home through meditation, the psychology of weight loss, paleo and autoimmune workshops. As you can see, in-store events cannot only educate and demonstrate techniques, but they also supply attendees with ton’s of inspiration from real-life experts and in their field. While there were no specific products mentioned or being ‘sold’, customers are “surprised and delighted” by the retailer’s generosity. What can you do to enrich or inspire your customer lives? What kind of things are they interested in and what type of valuable education or inspiration could you gift to them? In our previous example, attendee’s reciprocated their appreciation by sharing on social and inviting other friends for upcoming events and by purchasing what they needed to get started on their new lifestyle journey. Larger retailers have this type of market research at their fingertips already. However, it can be even easier for smaller, more boutique-type retailers who know their customers and the niche they represent. People are more open today than just ten years ago to forming closer bonds with a brand. This bond is one of the reasons why inspirational and educational events are so powerful for retailers today. It’s also the reason that events are on the rise – in fact, the event industry is likely to grow by 44 percent by 2020. There’s never been a better time, or better market conditions to start driving this new trend within retail. Helping your customers solve meaningful problems, connecting with their emotional versus logic only side (features and benefits), can be a powerful engagement tool for retailers today. The in-store experience you create can help your customers feel at ease in your store, better understand your products and can also connect their lifestyle goals with your brand. So, get cracking at creating these events in-store and connecting and communicating with your customers on a much more meaningful level – if you get stuck, reach out, I’d love to help answer a few questions to get you started. If you find this helpful, drop me a line in the comments below. PS…If you are looking to increase your footfall, try our FREE guide on, “5 Surefire Ways to Dramatically Increase Visitation Into Your Retail Business“. Links to The Retail Experiment Book (Print): Amazon Booktopia Barns & Noble My Website or Book Retailers in Australia like: Dymocks & QBD and many more. Or download the first three chapters of my book for FREE, The Retail Experiment, five proven strategies to engage & excite customers through in-store experience.